It’s been 20 years since Alfa Romeo sold cars in the United States, which means we’ve had a two-decade-long drought of words like “passion” and “soul” in car reviews. Yet here I sit in the 4C, Alfa’s first car to hit American shores since 1995, and I find my soul stirred with passion. Yes, that’s totally cheesy and unoriginal, but it’s also 100 percent true. Maybe it’s how this car evokes the warm memories of an old Alfa Spider I used to own, or perhaps it’s the exotic lines and ear-splitting, operatic exhaust note that could only come from sunny Italy. Whatever the reason, the 4C awakens something spiritual inside me every time I drive it, such that even a simple spin around the block makes me glad to be alive as my eyes glaze over with happy tears. 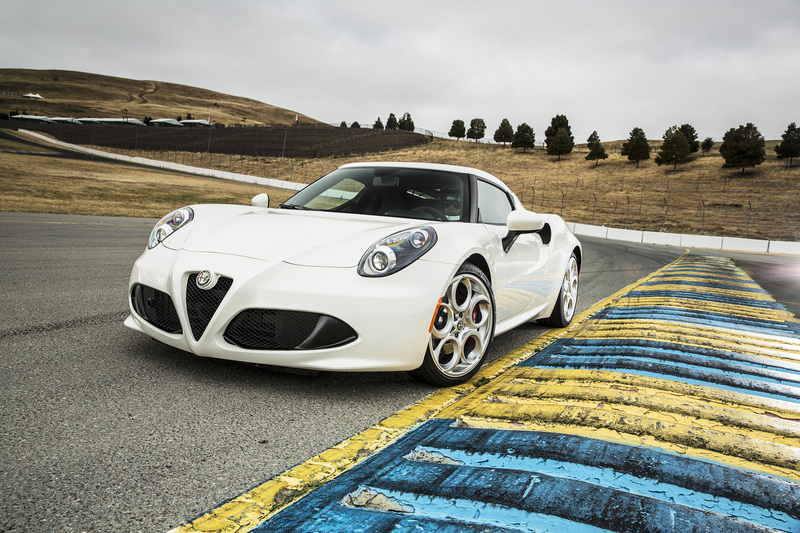 The exotic 4C is Alfa Romeo’s first car to sell as it re-enters the U.S. market this year. It’s made from carbon fiber, has wild Italian styling and is designed for purists who want supercar thrills at an attainable price. The kids can live in a box on the roof, I suppose. Of course, that means I have mental problems, but that’s fine because you’ve got to have mental problems to want a 4C. It makes no sense logically and is, by far, the least comfortable, least practical car I’ve ever driven. It has no glove box, virtually no trunk space, no power steering, and not even a muffler to keep the noise down on my test car. It rides so rough that it makes my old ’94 Miata sports car feel like Grandma’s Cadillac in comparison. But oh, I want it, and it takes every ounce of self control to not throw a toddler-style tantrum, screaming and slapping the ground until I get one. Why? Because it’s pure. It’s the most basic, raw, wonderful, emotion-producing machine you can imagine. When you plop yourself into a 4C — there’s no graceful way to do it — you find yourself surrounded by a carbon fiber tub, just like a Formula One race car, with a beautifully sonorous turbocharged engine right behind your back. It sits so low that you feel like your bottom must be underground. The engine makes 237 horsepower, which doesn’t sound very impressive until you realize that all the carbon fiber, aluminum and exotic engineering on this car have gotten the curb weight down to a feather-like 2,465 pounds. That means it feels wicked fast when you step on the gas pedal and hear Placido Domingo bellowing through the tailpipe. You’ve got to tolerate attention in this car because the Italian styling will get you plenty of it. It turns heads like Ferraris and Lamborghinis but, starting at $53,900, is a fraction of the cost. 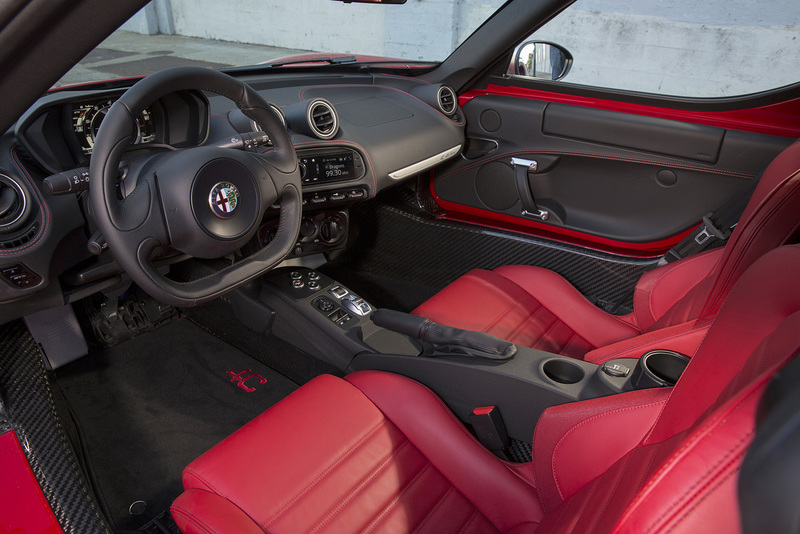 The 4C’s interior is extremely basic and focused around the driver, without even a glove box to detract from its pure sports-car mission. Even the Launch Edition, priced closer to $70,000, feels like the biggest bargain of the year considering what you get for the money. No other car comes close to its supercar look and feel for that price. Does it make sense for everyone? Of course not. In fact, I’d argue that the 4C makes sense for no one, since nobody really needs a noisy, impractical, carbon-fiber car that looks like a work of art and makes you all weepy with joy when you drive it. Am I glad I live in a world where a car like this can exist? Yes. A thousand times, yes. It offers the most pure, back-to-basics driving experience available today. With stunning good looks and exotic engineering, including a carbon fiber frame, it’s a wonderful way to welcome Alfa Romeo back to America.